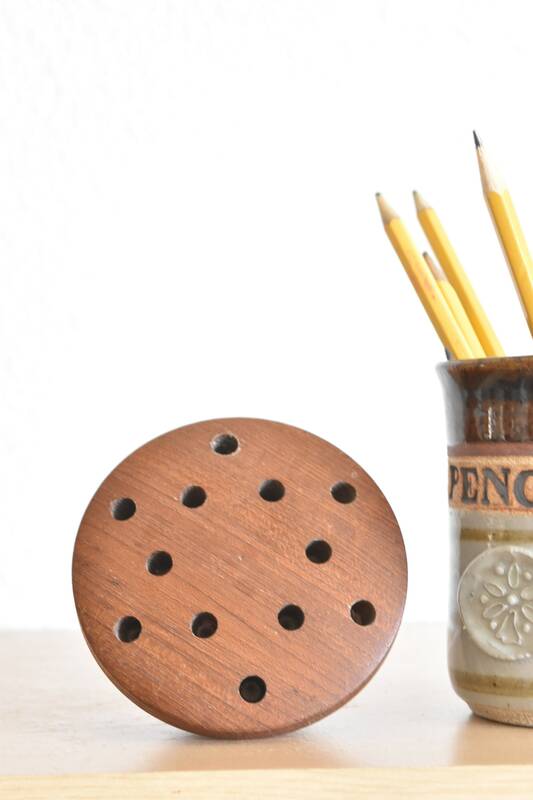 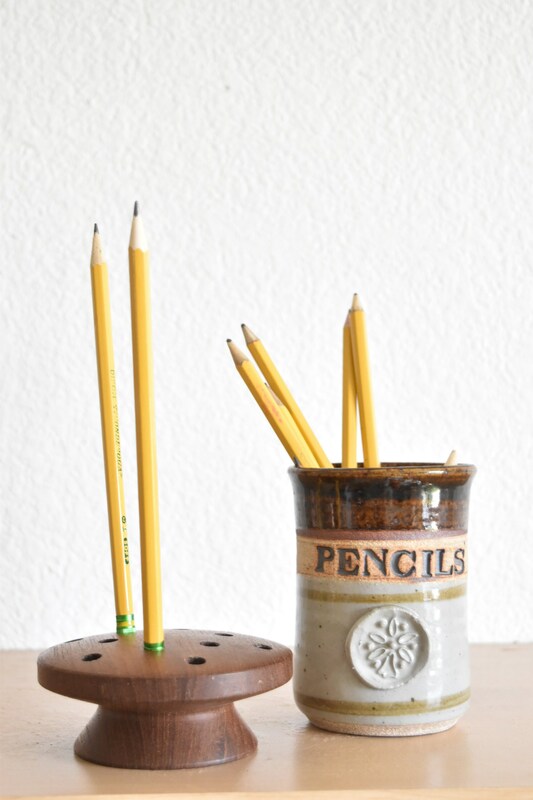 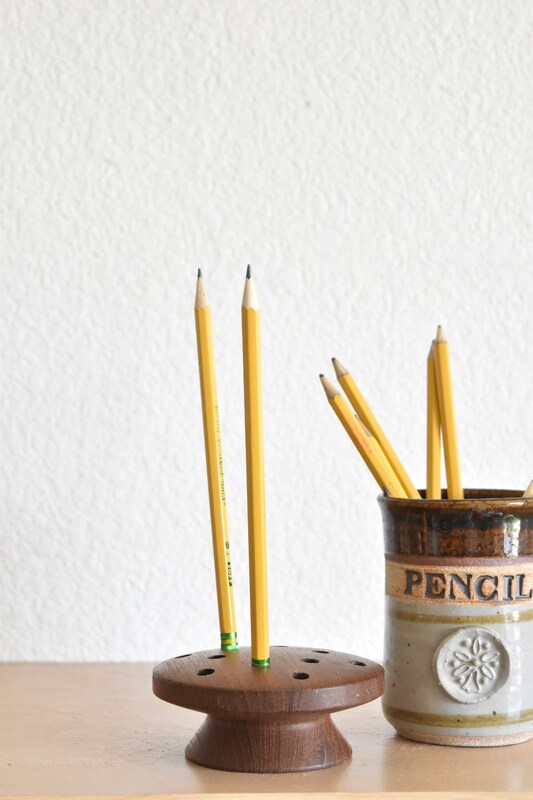 Cool carved wood mid century modern pencil holder with a neat star pattern. 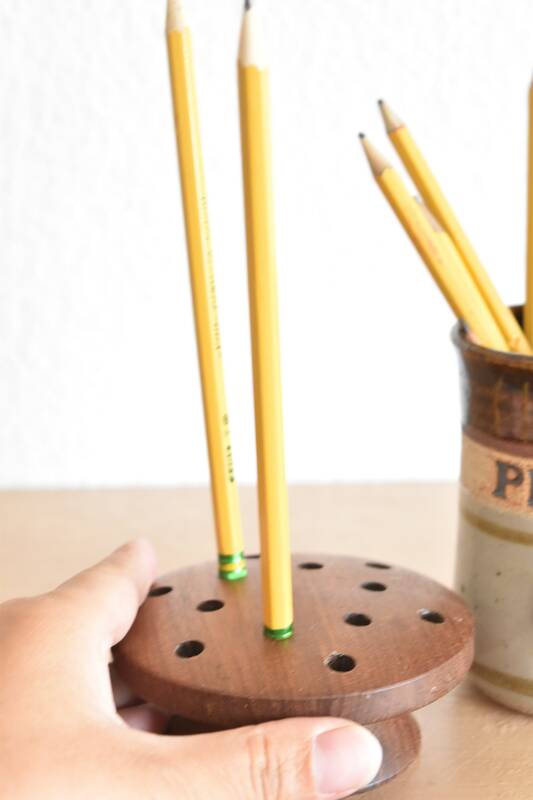 Holds 12 regular size pencils. 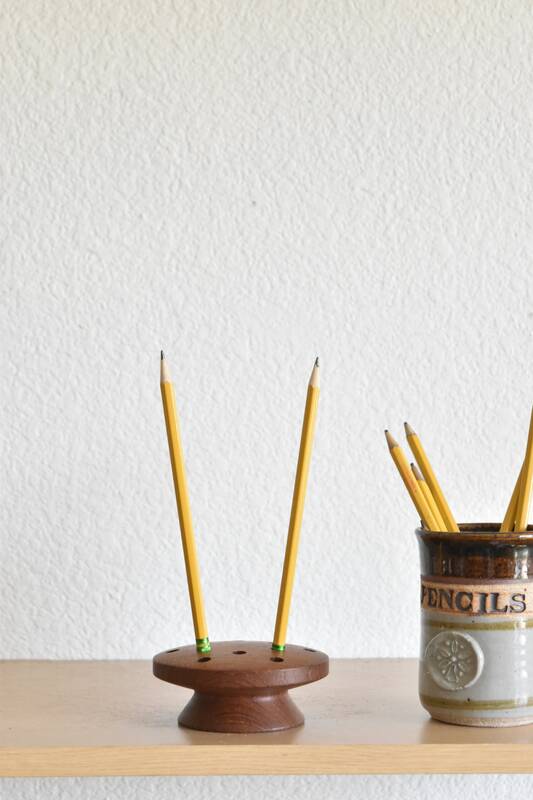 Good conditon. 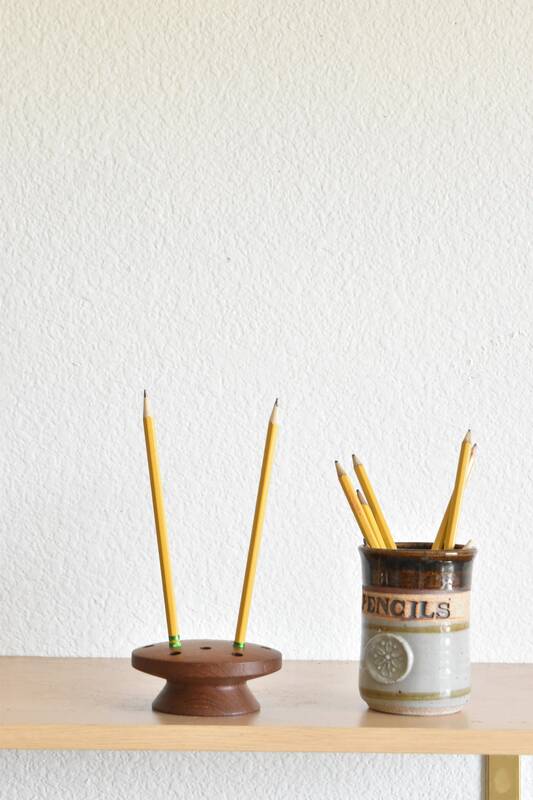 Perfect storage for the office.